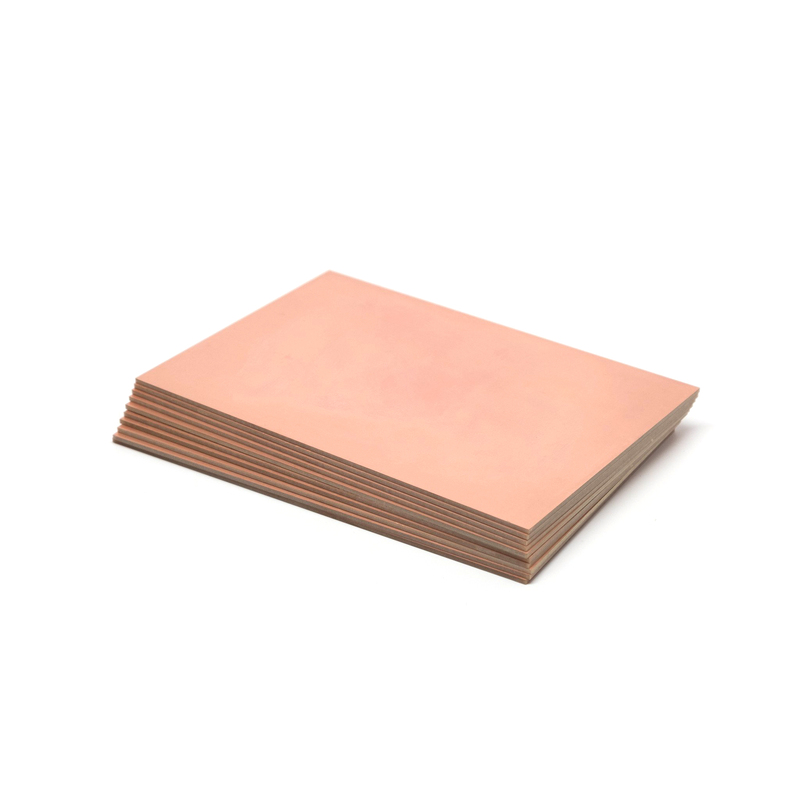 This copper clad material is ideal for rapid prototyping of PCBs on a CNC machine. These particular units are single-sided, and measure 4 x 6 in. (101.6 x 152.4 mm) Because it has copper on both sides, you can engrave these units on both the top, and the bottom. These units have 0.06 in. (1.6 mm) thickness. These items are best used with the Nomad 883 Pro using the free Carbide Copper app.